Losing your dog is surely a heart broken accident that may happen anytime. You don’t want to imagine pinning posters with ‘Lost Dog: Reward $1000’ do you? So keeping your dog safe is always an obligation to the owners. Temporary fence for dogs is a great solution to secure your dogs without making you spend so much money and performing some tricky installation steps. 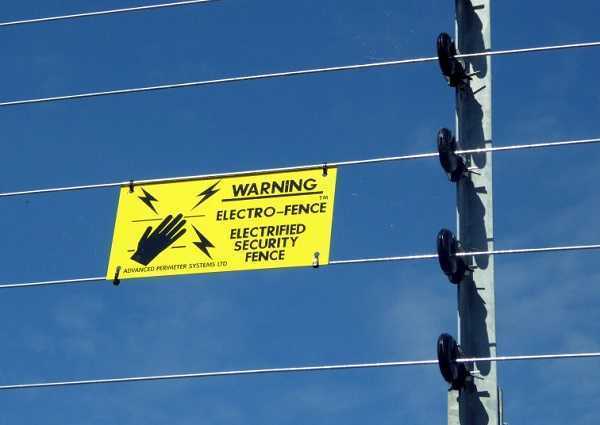 Some also call it the portable fence, because it can be moved and stored easily. It provides a great convenience and safety both for the owner and the pet. 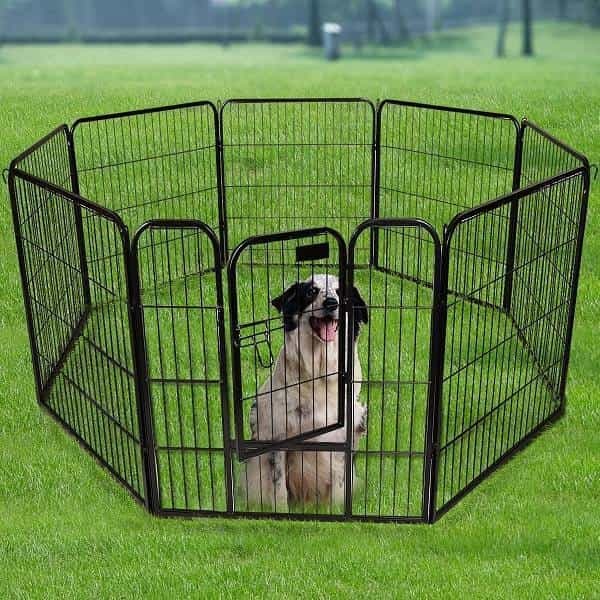 Portable dog fences are commonly made of metal, wood, or strong plastic. 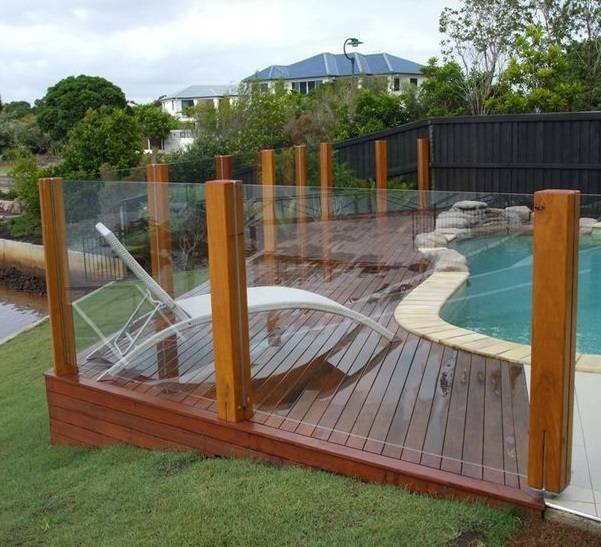 The fence is made durable to face harsh weather conditions. If it installed properly, the dog won’t be able to jump over or knock over the fence. Of course, you still have to choose the right fence which suits your dog’s size. There are various size and shapes of the temporary fence for dogs available. You can pick the right one that matches your property’s style. 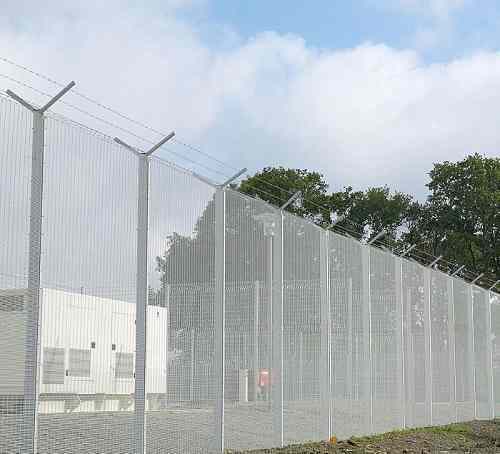 Comparing to the permanent fence, the portable one is more affordable to buy, most of the fences are offered at $60 to $150 depending on the material and design. 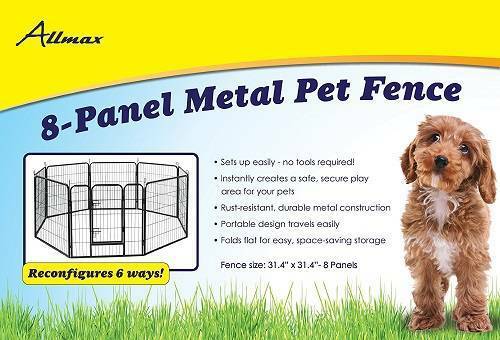 If you are looking for a good-quality portable fence for dogs, this Allmax Metal Pet Fence is really worth to buy. Read our review about the product below. 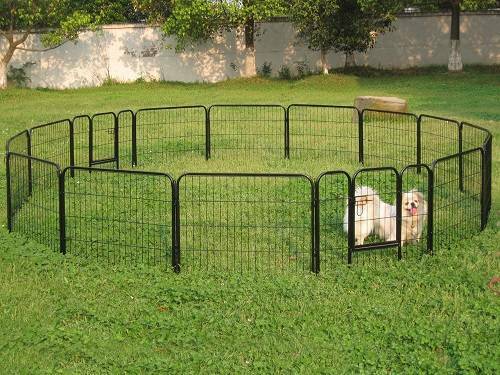 This premium pet fence comes with 8 panels, and the good news is, the fence can be configured into 6 shapes. It makes the fence can work in different functions. Each of the panel dimension is 31.4″ x 31.4″ and can provide 6.27 feet area when it is assembled. The fence works best to keep 2 to 3 medium sized dogs. 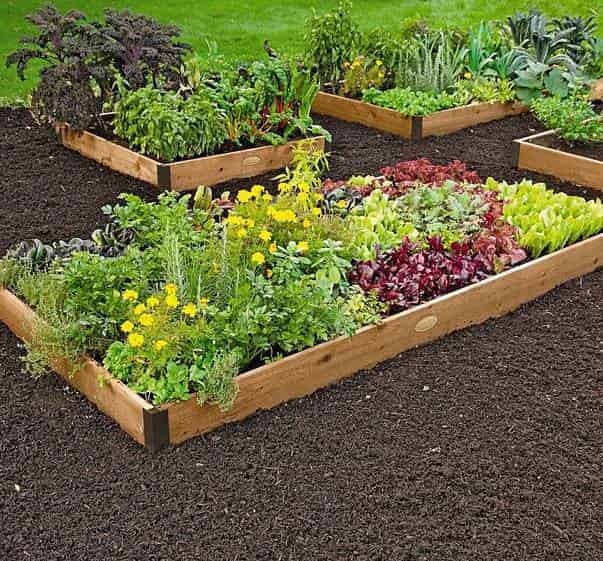 The design is very adorable to beautify your backyard. 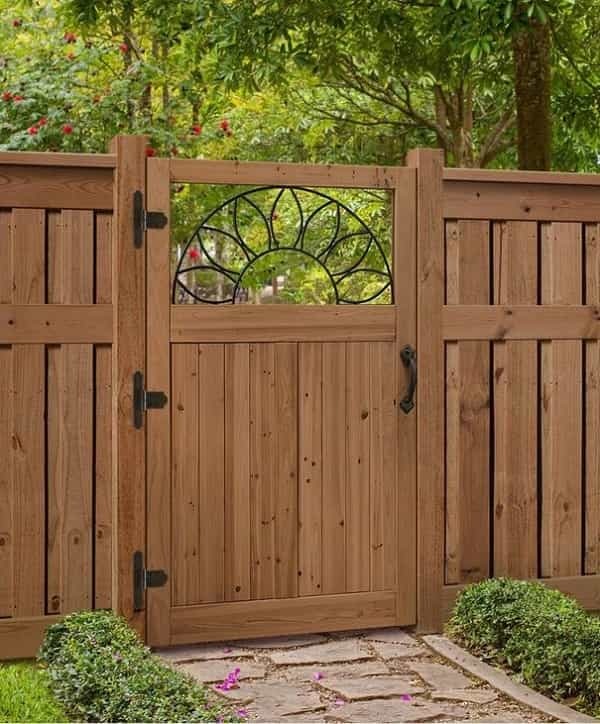 As a backyard’s addition, the fence is durable to use in all weather conditions. 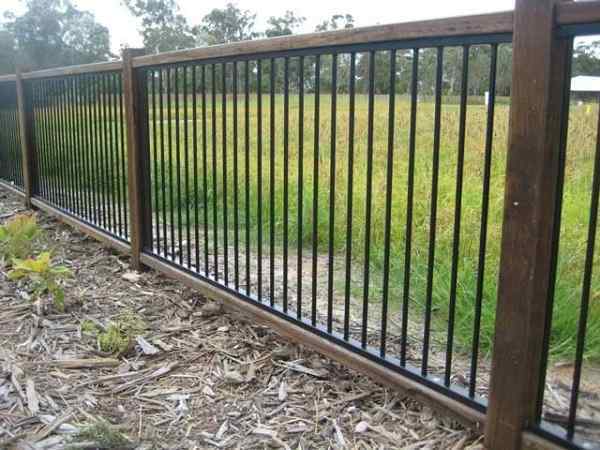 The fencing construction is made of heavy-gauge metal wire with the rust-resistant black powder coat finish. It is very sturdy and firm than the flimsy metal or plastic. 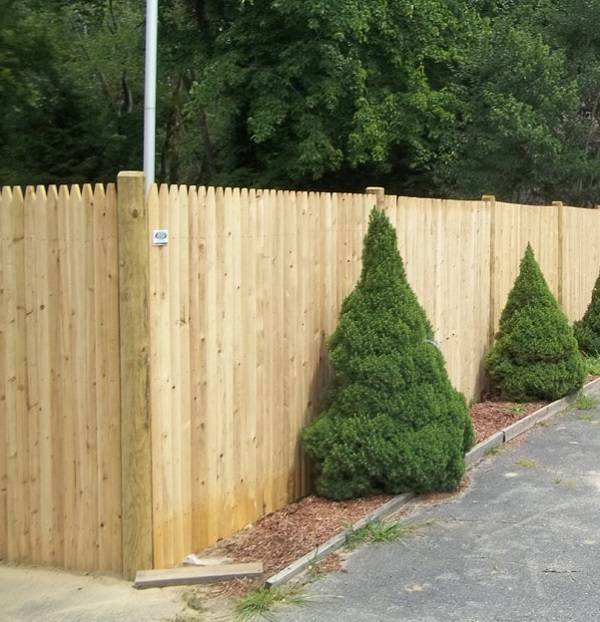 As a portable fence, you will not have to do some tricky installation steps or hiring a professional. 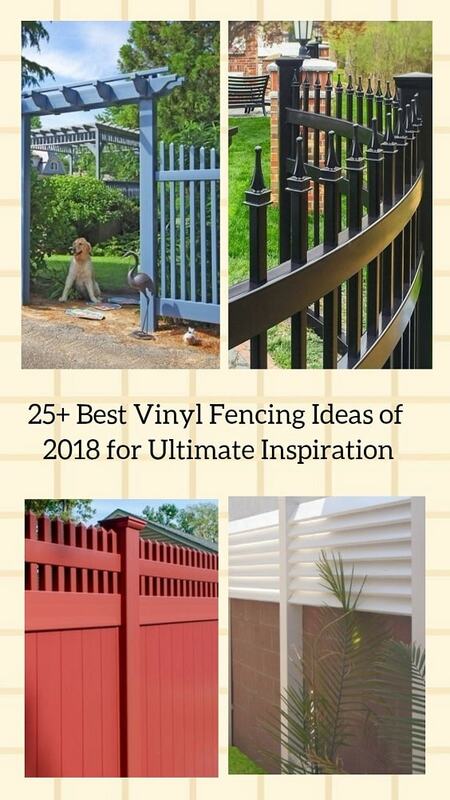 You don’t even have to use any tools to assemble the fence. The eight panels are very easy to attach and install, instantly provides a secured area for your dogs. 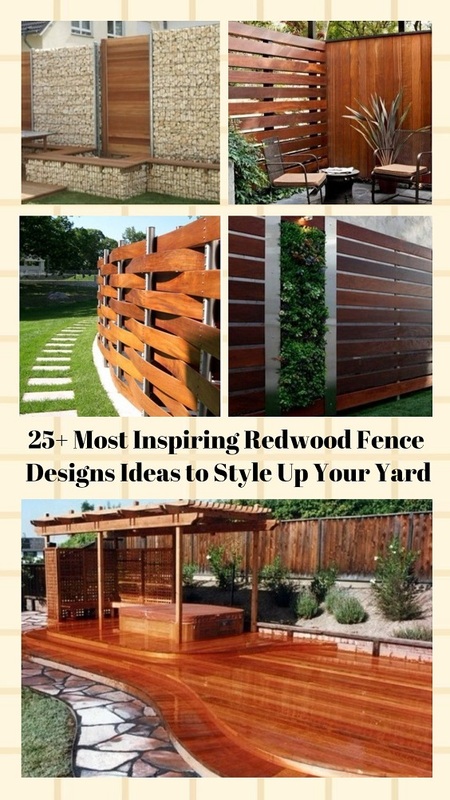 The fence can be configured into 6 different styles, so it can fit every contour of space. 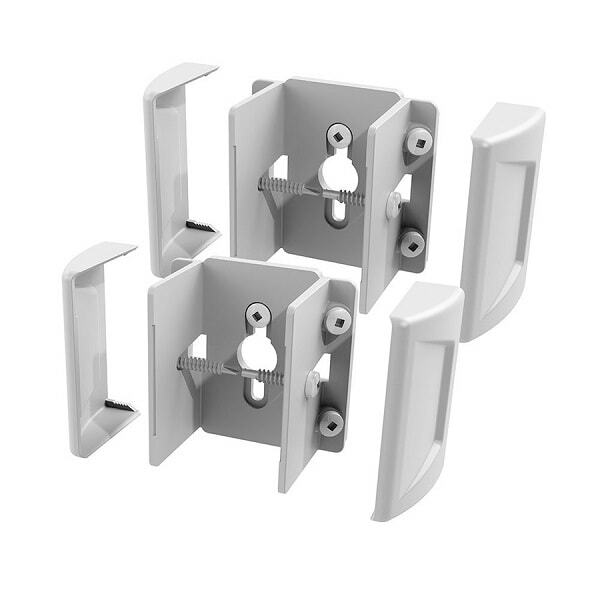 You can place it indoor or outdoor easily. The versatile design of the fence also allows you to use it for different occasions like traveling, camping, and potty training. When the fence is not in use, you can easily fold flat it and store it in your basement. You can check out the product at Amazon, and it is offered at $117.83. Many costumers stated that the price is very reasonable for a premium, durable, versatile portable pet fence. The Allmax Pet Fence is very recommended to buy. The construction is very sturdy and durable, and its versatile design truly benefits the pet owners to use it in various function. It is also easy to install just in a blink of an eye.